Balatonfüred will be a key venue for the 17th FINA World Championships and the FINA World Masters Championships this summer. The event could have a great impact on the development of not only the city but the whole region. Balázs Balassa, president of the Lake Balaton Association and mayor of Szigliget agrees. The 2017 FINA World Championships will be the biggest sport event in Hungary’s history, and Balatonfüred will be one of the venues. How big opportunity is that for the region and how can it benefit from the event? Every event that helps make the Lake Balaton more popular among the sports fans around the world is very important. The World Championships is a great opportunity to increase the popularity of the Balaton. We, who live in the region exactly know that this beautiful lake and the surroundings, as well as the high-quality services around the lake make this area perfect for both recreation and active tourism. It is the responsibility of us and the organisers to keep and even improve more this positive image in connection with the World Championships. 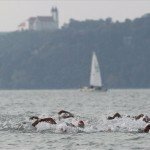 Open water swimming has a great tradition around the Lake Balaton, we can think of the Bay Swim of Baron Miklós Wesselényi, the famous swim of Kálmán Szekrényessy or the major open water events in Balatonfüred (World Cup, Junior World Championships, European Cup). Can we say that Balatonfüred is a cultic venue of this sport? I think we can confirm that open water swimming has great tradition in every cities and villages around the Lake Balaton. Balatonfüred has already proved in other areas as well that it vivificates the traditions and has an important role in utilizing them. Füred has shown in recent years that it can organise open water events in a very high level, providing the athletes some memorable days during the competitions. 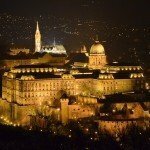 Do you think the World Championships can help the process of boosting quality tourism in the region? Athletes, family members and fans will arrive from all over the world, also from countries where the Lake Balaton has not been well known yet. As I mentioned, the Lake Balaton region is already appropriate for quality tourism, and the ongoing developments will further improve the situation. The World Championships will stimulate this process. The event is a great opportunity for Balatonfüred and the lake to make the region more popular internationally. 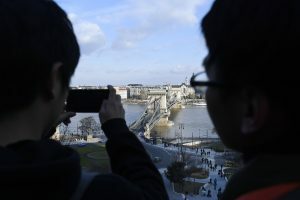 The leaders and inhabitants of Balatonfüred, as well as the inhabitants of the region can not wait for the World Championships, because they are aware of its long-term positive effects on the local tourism. The FINA World Championships will be followed by the FINA World Masters Championships in August, where senior athletes will compete in different disciplines, like open water swimming. There will be much more athletes in Balatonfüred in that period than in July, so can we say that in a sense it will be an even more significant event? In my view both events will be very important for different reasons. I am sure that for organisers the perfect organisation will be evenly vital at both events. Regarding the communication the FINA World and the FINA World Masters are of course different. The former will be highly represented in the media, but the large number of participants at the FINA Masters will have the chance to gain personal experience in a major event. How important is the sport in general for the development of the Lake Balaton region? I think the sport is the most important factor in making the youth more healthy-minded. There are lots of high-standard sports fields around the lake, which are eligible for almost all kinds of sports. Our goal is to help the locals and the tourists find this form of recreation. Active tourism has developed a lot in the region. More and more municipalities are developing their services in connection of sports. The FINA World and the FINA World Masters will be a good example how important role sports can play in the development of the region. Do you plan to attend the events of the World Championships? Yes, I would like to enjoy the atmosphere of such a great event. The World Championships is very important for me as a local citizen and as a leading person of the region. 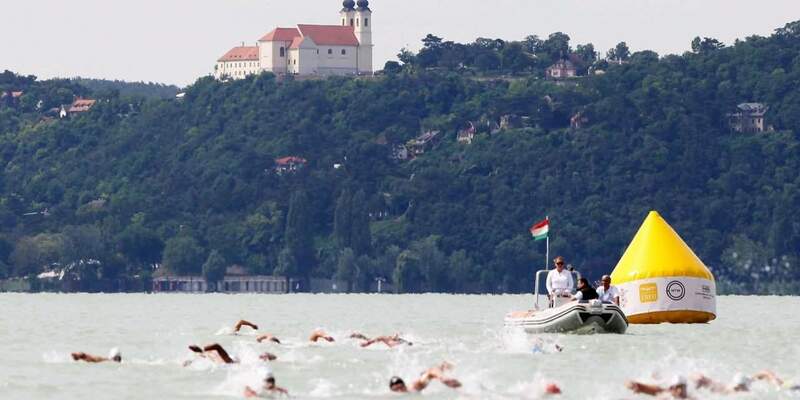 The Lake Balaton will host the open water swimming events, but do you have favourite athletes of other sports as well? Swimmers or water polo players for example? The members of the Szívós family have strong connections with Szigliget, my home village. 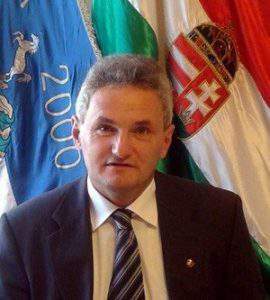 I have followed the great results of all the Szívós generations proudly as the mayor of Szigliget. I am a big fan of Márton Szivós, who is still an active water polo player. People know that you really like sports. Have you done any sports in your life, and which ones do you regularly follow as a fan? That is true, I am a real sports fan, but the sport has been rather a hobby for me for a while. I used to try a couple of sports, like handball, table tennis and football, but my sport has been jogging for some years. I like to watch every kind of sports, especially when I have the opportunity to support Hungarian athletes. 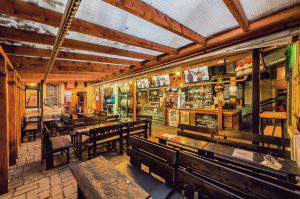 Follow your #hippy #heart and visit the below #bars!